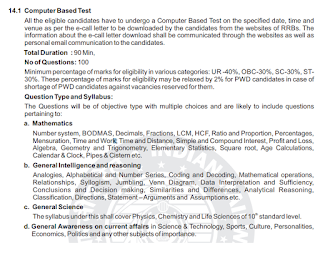 / Computer-based test, Physical efficiency Test and Document Verification for the RRC Level-1 Ex-Servicemen jobs Recruitment 2019. Interested and eligible candidates can apply through online official website of RRC is http://www.indianrailways.gov.in/railwayboard/view_section.jsp?lang=0&id=0,4,1244 from 12-03-2019 onwards. The closing date to submit the filled online application form along with the necessary documentation is on or before 12-04-2019. Regarding other details of salary, age limit and how to apply are given below for the RRC Level-1 Ex-Servicemen Govt Jobs Recruitment 2019. For ESM (OBC-NCL) candidates is in between 18 to 36 years+Service+3 years. For ESM (SC/ST) candidates, the age limit is 18 to 38 years+Service+3 years. Degree/ Diploma qualified candidates can apply for the RRC Level-1 Ex-Servicemen Posts Recruitment 2019. The shortlisted candidates will get the pay scale of Rs.15000/- per month for Level-1 Ex-Servicemen Posts Recruitment in RRC 2019. The application fee for the Ex-Service candidates is Rs.250 for the RRC Level-1 jobs Recruitment 2019. The selection of the candidates will be based on the merit in the written examination/ Computer-based test, Physical efficiency Test and Document Verification. 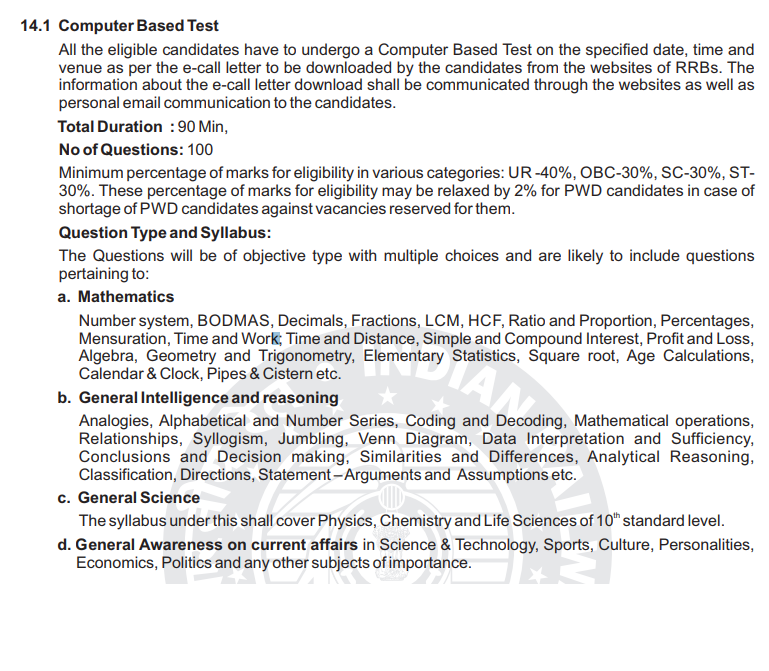 The computer-based test for the RRC Level-1 posts will be conducted for total 100 marks and duration will be 90 minutes and the exam paper will be comprised of the following topics. Interested and eligible candidates can apply through online official website of RRC is http://www.indianrailways.gov.in/railwayboard/view_section.jsp?lang=0&id=0,4,1244 from 12-03-2019 onwards. The closing date to submit the filled online application form along with the necessary documentation is on or before 12-04-2019.